Grow as a person and as a tennis player, and you have had a successful season. All of us enjoy winning more than losing, and we try to give our players every help to win. But we do not measure our season by wins and losses. We measure it by whether our kids have grown as people and as players. We try to help them do both. Compete: We will give our best effort 100% of the time. Learn: We will be open, curious, humble learners. Honor: And on and off the court, how we reveal our character with our actions will show respect for and bring credit to ourselves, our families, our teammates, our school, and the game of tennis. Honor is the source of everything else, the foundation. Honor explicitly requires humility, and humility is necessary for one to Learn (as in, you won’t learn much if you think you know it all, already). And it is the learning that allows one to grow in all the skills and mind-sets needed to compete with joy and gratitude. It might not be obvious, but developing honor and these mental, emotional, and spiritual habits is not something players do primarily alone—it is mostly an outgrowth of relationships. They can study these “tips” by themselves, sure. And they should. But to be true values and habits that guide them, players have to act on them. And acting on them comes only in relation to others and caring about others—their family, teammates, coaches, opponents. The firefighter, the police officer, the bystander who jumps in to save people from a burning car or from drowning are all putting their lives on the line. It’s hardly the same thing when athletes give their all for their team. It’s not life and death. I wrote my book so coaches can use that understanding to help their players develop the mental, emotional, and spiritual strengths they need to deal with what tennis, and life, throw at them. 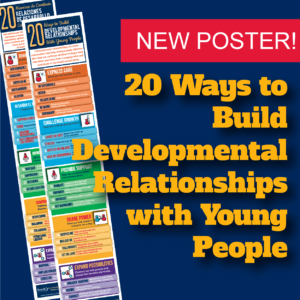 Coaches can’t do that without creating strong developmental relationships with their players, nor can players do it without strengthening their relationships with coaches, teammates, opponents, and others. The mental and emotional strengthening strategies I teach and write about in the book, like humility, losing the self, loving the battle, welcoming challenge, striving for gracefulness and balance, and accepting mistakes, tend to relax players, make them more fluid and smooth, and encourage them to be better teammates who care about others. Ultimately, it’s not just about self and not just about tennis. Every one of our student-athletes should have a coaching relationship that inspires them to feel this way! That’s how you know you have a program that helps young people grow not just as players but as people of good character who bring credit to themselves, their teams, schools, families, and the game! There is no better measure of success. 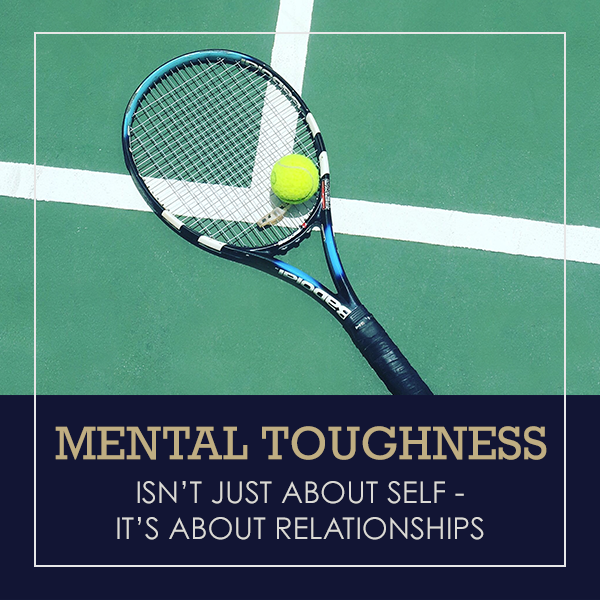 This blog is adapted from Peter’s new book, Mental and Emotional Training for Tennis: Compete-Learn-Honor (2019), published by Coaches Choice. It is available at http://coacheschoice.com/mental-and-emotional-training-for-tennis/, and also at Amazon. 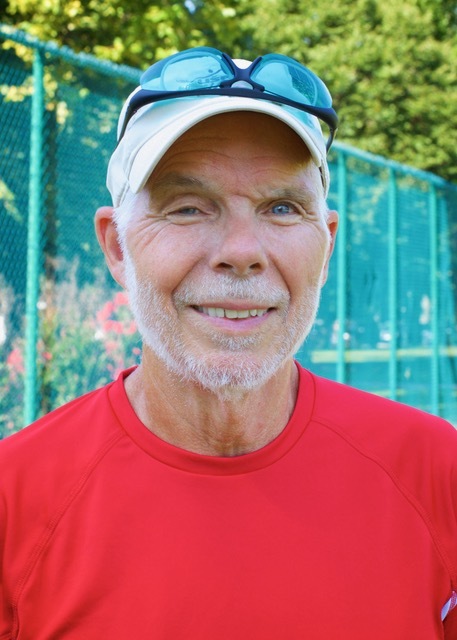 Peter C. Scales, Ph.D., USPTA, is an internationally known developmental psychologist, Senior Fellow at Search Institute, and U.S. Professional Tennis Association-certified tennis teaching pro who coaches boys and girls JV tennis at Parkway South High School, Manchester, Missouri. 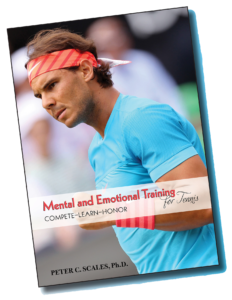 This blog is adapted from his new book, Mental and Emotional Training for Tennis: Compete-Learn-Honor (2019), published by Coaches Choice. It is available at http://coacheschoice.com/mental-and-emotional-training-for-tennis/, and also at Amazon.